Today marks the 200th birthday of Charlotte Bronte, born April 21, 1816. The author of four novels, poetry, and a number of unfinished works, Bronte is best known for her novel Jane Eyre. Beloved by countless women readers and Hollywood filmmakers, Jane Eyre is sometimes dismissed as mere pulp fiction for the literary set. But beneath the surface-level romance, Jane Eyre offers a profoundly philosophical portrait of the modern self. In fact, the novel embodies to a remarkable degree the modern quest for self-creation described by Charles Taylor in The Ethics of Authenticity. Not coincidentally, it was also around this time that the novel developed as a literary genre—a form expressive of modernity, particularly individual autonomy and subjectivity. 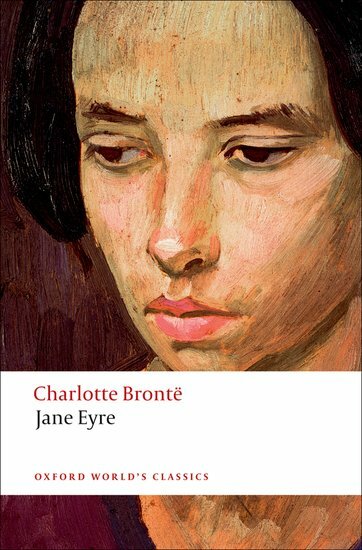 Bronte’s 1847 publication of Jane Eyre marks a point at which the rise of the novel and the rise of the modern notion of the self converge. We become full human agents, capable of understanding ourselves, and hence of defining an identity, through our acquisition of rich human languages of expression. . . . No one acquires the languages needed for self-definition on their own. We are introduced to them through exchanges with others who matter to us. Jane comes to find her own voice—and therefore her authentic self—through just such a dialogical process: first through verbal (as well as physical) conflict with her cruel aunt and cousins; then through the first true Christian she befriends, her schoolmate Helen Burns; followed by spirited repartee with her employer, superior, and eventually beloved, Mr. Rochester; but most significantly, with her inner self as she struggles to discover and define who she really is. The agent seeking significance in life, trying to define him- or herself meaningfully, has to exist in a horizon of important questions. That is what is self-defeating in modes of contemporary culture that concentrate on self-fulfillment in opposition to the demands of society, or nature, which shut out history and the bonds of solidarity. . . . To shut out demands emanating beyond the self is precisely to suppress the conditions of significance, and hence to court trivialization. Only if I exist in a world in which history, or the demands of nature, or the needs of my fellow human beings, or the duties of citizenship, or the call of God, or something else of this order matters crucially, can I define an identity for myself that is not trivial. Authenticity is not the enemy of demands that emanate from beyond the self; it supposes such demands. This is precisely the genuine authenticity Jane portrays. Throughout the novel, Jane is tempted to betray her true self by imitating the ways of others. She’s tempted to imitate her beloved Christian friend Helen Burns by embracing Burns’s otherworldly stoicism. She’s tempted to imitate her cruel aunt by returning an unforgiving spirit. She’s tempted to imitate her cousin in marrying not for love but for service on the mission field. She’s tempted to imitate her beloved by compromising her Christian faith in order to remain with him. But, despite pain and struggle, Jane resists each of these temptations to be something other than her true self. I will keep the law given by God; sanctioned by man. I will hold to the principles received by me when I was sane, and not mad—as I am now. Laws and principles are not for the times when there is no temptation: they are for such moments as this, when body and soul rise in mutiny against their rigor; stringent are they; inviolate they shall be. If at my individual convenience I might break them, what would be their worth? Jane’s self-determination does make her a modern, self-created subject. But because she turns outward rather than inward, she achieves the genuine authenticity Taylor describes. In using her sense of self and her moral agency to become the person God calls her to be, Jane achieves genuine authenticity and true freedom. And in portraying a character whose self-creation is rooted in something outside the self, Bronte offered a great gift to the modern world. Two hundred years after her birth, Bronte’s gift is perhaps more timely than ever. Editors’ note: Don’t miss our 2017 National Conference, April 3 to 5 in Indianapolis. Karen Swallow Prior will be leading a workshop on “The Virtues of Reading: How Great Books Cultivate Virtue and Promote the Good Life.” Register today!